If your kids love bikes, motorcycles, ATVs or even if they have previous experience with snowmobiles, our Kid’s Snowmobile Park will provide them with the thrill and excitement of trail riding in northern New Hampshire. Once again, we have teamed up with Polaris to get your child on the newest and safest equipment that is guaranteed to have them begging to ride again. We provide your child with a full-face helmet and supervision before and during the ride. Our guide will conduct a brief orientation on how to safely operate and shut-off the machine while answering any questions that you or your child may have before they zoom off around the track. For more information please contact the Ski Area at 603-278-3320. To purchase tickets in person for the Kid’s Snowmobile Park, visit the Demo Center across from the Repair Shop. Reservations are not required but highly recommended and will be taken day- of on a first come, first served basis. Reservations are available every 15 minutes starting at 11:00am. Please Note: Weather conditions and demand levels may affect the Snowmobile Park operating schedule. Please call 603-378-3320 for more information. The Bretton Woods Kid's Snowmobile park is closed for the 2018-19 Winter season and we look forward to see you next year! Tickets for the Snowmobile Park are available at the Demo Center located on the lower level of the Base Lodge. 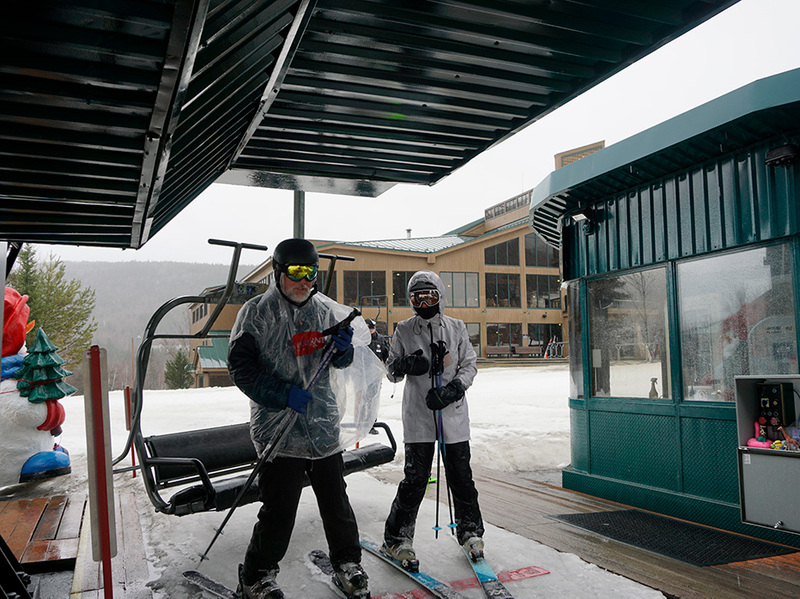 All riders must check in at the Demo Center on the first level of the Bretton Woods Base Lodge. Child and parent or guardian will need to be present at time of check in to sign a waiver. Please check in at the Snowmobile Rental Desk in the Demo Center 15 minutes prior to your scheduled time. Rider must be at least 44 inches, weigh no more than 110 lbs, and be able to operate the throttle and brake to participate. Rider should be dressed in appropriate winter gear including snow jacket, pants, boots and gloves. Parent or guardian must be present to purchase the ticket and fill-out the appropriate paperwork, including the standard Bretton Woods activity waiver.